Nigerian delegation led by the Permanent Secretary, Ministry of Communication, Mrs. Nkechi Ejele, attended this year’s International Telecommunication Union (ITU) Telecom World conference in Durban, South Africa, which attracted global participation. What necessitated Nigeria’s attendance? Nigeria participated in this year’s ITU Telecom World conference in Durban, South Africa to explore policies, technologies and innovations that can lead to a smarter Nigeria and assist in transforming our country, including the different sectors of the Nigerian economy like the telecoms sector. We want to see how we as a nation can use the policies, technologies and innovations that were displayed at the conference to transform our industries and organisations. We plan to apply the knowledge gained from the conference on the telecoms sector and other sectors, in order to enhance Nigeria’s smart city initiative. NCC for instance, sponsored some Nigerian startups to this year’s ITU Telecom World conference who are the future technology disrupters, to showcase their solutions and talents to the world. Last year, at the ITU Telecom World conference in South Korea, NCC also sponsored some of them and they were able to impress international audience with their solutions and they returned with international awards, just like this year. NCC has been at the forefront of wooing foreign investors to invest in Nigeria, especially in the telecoms sector of the country. What is government doing to attract these investors through tax incentives? The Economic Recovery and Growth Plan (ERGP) document of the federal government clearly shows government willingness to create the enabling business environment for investors to thrive in Nigeria. For example, in the ERGP document, there is a pioneer status given to investors who are coming in to invest in any sector of the economy, including the telecoms sector. The pioneer status incentive is 30 per cent, which means a reduction of Company Income Tax by as much as 30 per cent. This is in addition to other incentives like the relaxation of monetary policy of the federal government, access to foreign exchange, physical policy, reduction and waivers on custom duties, among others like the Executive Orders 5 and 6 of the ease of doing business. All these are measures put in place by the federal government to make business in Nigeria very easy and profitable for willing investors, and we at NCC will continue to encourage investors to come to Nigeria and invest in the telecoms sector, and our efforts are beginning to yield good results. The telecoms space is big enough to accommodate more investors and we will continue to encourage Foreign Direct investments in Nigeria. Last year, NCC gave an update on telecoms investment in Nigeria, which was put at $70 billion. What is the current investment figure and the contribution of the telecoms sector to Nigeria’s Gross Domestic Product (GDP)? I must make it clear that we get statistics about telecoms contribution to GDP from the National Bureau of Statistics (NBS). The figure we gave last year about telecoms investment in the country was $70 billion, and the figure was what the NBS released as at last year. Although the bureau has not released statistics for this year, but I can confidently say that the total telecoms investment in Nigeria has surpassed $70 billion. This is true, based on the reliable information we have that telecoms investments, which include foreign direct investment ( FDI) and portfolio investment, has currently reached 10.5 per cent, up from 9.15 per cent in the previous year. The NBS quarterly report puts the contribution of telecoms to GDP at $5 billion per quarter, which is 2 per cent rise per quarter. This of course is a steady quarterly growth and when you calculate the four quarters in the last one year after the $70 billion figure was released, it becomes clear that telecoms contribution to GDP has surpassed $70 billion in the last one year, and this is a significant contribution to the Nigerian economy. In the last one year, Nigeria recorded a steady growth in voice and data services offering, including broadband penetration and all these put together in monetary terms, clearly shows the immense contribution of the telecoms sector to the Nigerian economy. What are some of the opportunities for additional foreign investors that may be interested in investing in the Nigeria’s telecoms sector? There are lots of opportunities for investors in the county’s digital transmission system including microwave, satellite and optic fibre, such as submarine cable communications, as well as digital exchanges for both wired and wireless lines. We also have investment opportunities in our billing systems and data communications networks, broadband and integrated service digital network (ISDN). Nigeria needed 120,000km metropolitan optic fibre coverage for ubiquitous network connections nationwide, but the country has only 38,000km coverage now, which I see as an investment opportunity beckoning on both foreign and local investors to take advantage of, and invest in the country. NCC is intensely focused on bringing efficient, qualitative and affordable ICT platforms within the reach of individuals and corporate bodies through the implementation of our 8-point agenda, the Federal Government’s Economic Recovery and Growth Plan (ERGP) and the ICT Roadmap to drive synergies, which would expand opportunities for disruptive technology innovation and global competitiveness in Nigeria. What are some of the regulatory measures taken by NCC to deepen broadband penetration in the country? Several regulatory measures have been put in place by the NCC to further grow broadband penetration in the country. The commission had earlier assigned 2.3GHz licence to Bitflux Consortium and six of the 14 slots available on 2.6GHz to MTN Nigeria and two slots to Openskys, and six slots are still available for assignment. As part of the flexible approach to regulatory management and constant stakeholders’ engagement, the commission introduced spectrum trading only a few months ago. This is to enable holders of such spectrum that is not in use to transfer, lease or share such spectrum with those who may have a need for it. We see this as a cutting edge regulatory initiative to safeguard the use of this scarce national resource. The NCC undertook these regulatory steps in line with the National Broadband Plan (NBP) of 2013-2018, where it is anticipated that 30 per cent broadband penetration will be attained by the end of 2018. At the opening ceremony of the ITU Telecom World 2018, the President of South Africa, Mr. Cyril Ramaphosa highlighted three pillars on which his country is driving digital transformation. What are the strategies for Nigeria in driving her digital transformation? Yes, I heard clearly, the South African president’s speech at the opening ceremony of ITU Telecom World 2018 conference, when he listed the three pillars on which his country is driving digital transformation, to include Women, Youths and SMEs. The truth is that every county has its own strategy and I subscribe to the position of his Excellency, President Cyril Ramaphosa of South Africa on the country’s drive in digital transformation for a digital economy. The Nigerian strategy is similar to the South African strategy as enumerated by their president, but we have additional strategies beyond that of South Africa. 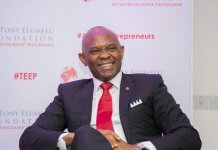 In Nigeria, we have identified about five strategies of the digital ecosystem, but to successfully achieve these strategies in Nigeria, we need government enabling polices and the right institutions that will enhance digital transformation in Nigeria, because digital transformation is key to Nigeria’s development. As part of the Nigerian strategy for digital transformation, we have considered the youths, women and SMEs in our policy. 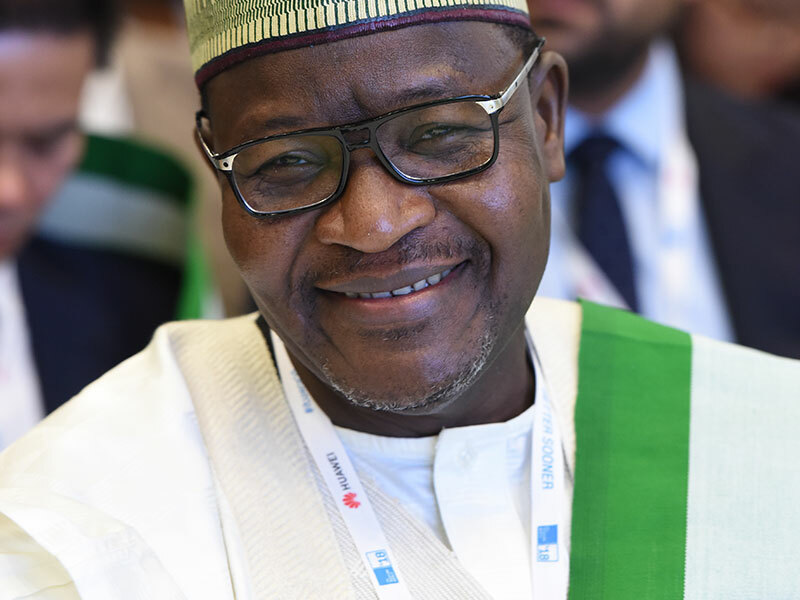 In all of these, the role of NCC in the digital transformation of the country is key and the NCC is currently giving access to telecommunication services in the underserved and unserved areas of the country, more so in a situation where only 50 per cent of Nigerian households have access to telecommunication services. Again we are building the critical mass adoption and use of telecommunications services in order to achieve the right broadband internet penetration. We have a National Broadband Plan which the NCC is at the forefront of pushing it to ensure that we have a deeper broadband penetration for Nigeria. We have currently achieved 22 per cent broadband penetration in the country, which is above the minimum target of achieving 30 per cent broadband penetration, with plans to achieve the maximum target by the end of this year. So the NCC is also targeting massive capacity building in schools and colleges, including tertiary institutions and communities outside the schools. The other aspect of the digital transformation for Nigeria is in the area of telecoms infrastructure. In order to boost the rollout of telecoms infrastructure across the country, we decided to zone the country into seven zones and licensed Infrastructure Companies (InfraCos) in all the seven zones. The role of the InfraCos is to provide broadband infrastructure that will facilitate faster rollout of broadband service across the country. All these initiatives are targeted at enhancing digital transformation in the country. Are there incentives that will motivate the InfraCos to roll out broadband infrastructure much faster? To ensure rapid rollout of broadband infrastructure across the country, the NCC provided some palliatives in the form of incentives for all InfraCos that are willing to roll out in rural communities, including underserved and unserved communities. Aside the incentives, the InfraCos licence was made very cheap to encourage InfraCos. NCC is not interested in making money out of InfraCos, but to encourage them to roll out broadband infrastructure in all nooks and crannies of the country. Beyond women, youths and SMEs, we also have plans for the physically challenged persons and we give them opportunities to belong to the country’s digital transformation process. What is your view about government’s position on MTN, where the telecoms company was asked to return money it repatriated from the country between 2007 and 2015 and to pay tax arrears within the same period, totaling $10.134 billion? Government is an institution whose actions are guided by law. For example, the CBN is a government institution that regulates the financial sector of the economy, while the Federal Inland Revenue Services (FIRS)is another government institution that regulates the tax sector of the economy and the NCC regulates the telecoms sector of the Nigerian economy. What is happening between MTN and the Nigerian government is based on regulatory issues in their different sectors. Although the issue is currently centred on financial and tax regulation, but there are public fears and outcry that the action taken so far by government could cause a ripple effect on other sectors of the economy because telecommunications, as it were, which is the core business of MTN, cuts across all sectors of the Nigerian economy. As telecoms regulator, we are aware that there is no sector of the Nigerian economy that does not enjoy the services of telecoms sector, and we are concerned about the current MTN issue with government because MTN Nigeria is a licensed operator under the supervision of NCC. But I will like to say that although the alleged breach is purely on financials and taxes, the NCC as a regulator of the telecoms sector, is doing everything possible to ensure quick and amicable resolution of the matter. We are already intervening, just the same way we intervened in previous matters concerning MTN Nigeria. As a regulator with human face, we will always provide guidance to all our licensed operators, both big and small, during crisis of any sort. MTN has been in touch with us over the recent matter and we have mapped out strategies to address the issue, which I will not like to divulge to the media as at the moment. What is NCC doing about additional licensing of spectrum frequency for telecoms operators? The issue of spectrum licences is ongoing, and this is closely followed by the renewal of licences. We had a scenario when MTN bought over Visafone in 2015 and later wrote the commission to take over the shares of Visafone and approval in principle was granted MTN. 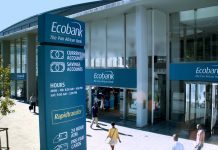 Having met the conditions, the approval of transfers of 99.999 per cent of shares was conveyed to MTN. Subsequently MTN wrote for the transfer of the 800MHz spectrum of Visafone and we made MTN realised the implication of transferring spectrum licence, which is a national resource. There is another 700MHz spectrum belonging to the broadcast industry that was in the custody of the National Broadcasting Commission (NBC) that was long sold to MTN by the NBC, which again,has the same condition like any other national licence. There were industry agitations after the sale of the 700MHz spectrum to MTN and the spectrum was later reallocated to NCC. But instead of NCC conducting a fresh auction for the spectrum, the NCC decided that MTN should keep the spectrum since it has already been paid for, but the NCC insisted that MTN must use the 700MHz spectrum for the provision of telecommunication services only and not for broadcast services. This has been concluded and MTN is very happy about the decision of the NCC. This of course shows the true position of our human face as a regulator to MTN and all other telecoms operators, both big and small. But the Visafone 800MHz spectrum cannot be given to MTN, because it is a national resource that belongs to the NCC and there are dominant issues involved. Other operators have kicked against giving MTN the Visafone 800MHz spectrum without auctioning it because they could be interested in the spectrum as well. To avoid dominance, we are still studying the issue and will soon come out with our position on the 800MHz spectrum. What is the current state with the sale of 9mobile? Barclays Africa, the financial adviser handling the sale of 9mobile announced Teleology Holdings Limited as the preferred bidder of 9mobile and Smile Telecoms Holding as the reserve bidder in the ongoing sale of 9mobile. Now the spectrum licence of 9mobile belongs to Emerging Markets Telecommunication Services (EMTS), but trading as 9mobile. Teleology had since paid a non-refundable deposit of $50 million and the record is there to show for it and we have verified the payment. Teleology also paid $251 million into an escrow account of the Central Bank of Nigeria. Barclays Africa had directed Teleology to make an initial non-refundable cash deposit of $50 million within 21 days, which expired on March 21, 2018, and then pay the balance of $251 million within 90 working days from March 21, which expired July 25, 2018, and Teleology had since made these payments. Based on these payments, the NCC needed to transmit a letter of no objection to Teleology for the transfer of the shares of Etisalat from EMTS to United Capital Trustees, which is the receiver manager for the 13 local banks that gave Etisalat, now 9mobile, the loan of $1.2 billion. The shares will then be transferred from United Capital Trustees to Teleology. It is a two phase transfer of shares and NCC has transmitted the letters of no objection for the two phase transfer of shares from EMTS to United State Capital Trustees, and then from United Capital Trustees to Teleology. But what has not been transferred is the spectrum licence to Teleology because there is a caveat around it. So the operational and spectrum licences of 9mobile are still with EMTS. Again Teleology is expected to make another tranche of payment of $100 million to service the debts of equipment suppliers and vendors like Huawei, IHS and Nokia, which 9mobile is owing. Again, there is another amount that is consistent with the recapitalisation of 9mobile that Teleology needed to pay. All these remaining payments have to be concluded before the NCC will release its report on Teleology’s capability in handling 9mobile, to conclude the sale of 9mobile. What is NCC’s view about the bank-led mobile money operation in Nigeria as against the telco-led in Kenya, where the penetration of mobile money in Kenya has been described as high and encouraging? Mobile money in Nigeria is bank-led and its penetration level is still very low since its inception, which is put at one per cent penetration. With a population of about 190 million, one per cent mobile money penetration is still on the low side and it has not improved and not encouraging also. I have it on good record that about 40 per cent of the total 190 million population of Nigeria is financially excluded. The reason for the low penetration of mobile money service in Nigeria is because of the modules of operation, which is bank-driven, yet banks leverage on the infrastructure and network of the telecommunication operators to drive mobile money in Nigeria. It appears they do not have the capacity to drive mobile money and the telecoms operators have expressed their desire to be part of the driving processes, but this has not been approved by the CBN that regulates mobile money and financial services operation in Nigeria. The telecoms operators have said severally that they have the capacity and infrastructure to drive mobile money and that they are willing to provide additional capacity, yet mobile money is still bank-led and the penetration level has been too slow. I am convinced that once CBN licenses telecoms operators to provide mobile money service, the penetration level will increase and the level of financial exclusivity will be drastically reduced.